The long-running and incredibly worthy annual lecture series on the media, broadcasting and the arts gets a hugely entertaining shot in the arm from the still subversive and playful Grayson Perry. From the post-post-modern and the long legacy of Marcel Duschamp’s statement that anything can be art (maybe, but not necessarily good art, says our host), Perry takes us through a deconstruction of art, the artist, the commercial art world and why art matters over the course of four lectures. In his first Reith Lecture the British artist Grayson Perry explains the process of assessing quality in contemporary art. Recorded in front of an audience at Tate Modern in London, Perry argues that there is no empirical way to judge quality in art. Instead the validation of quality rests in the hands of a tight knit group of people at the heart of the art world including curators, dealers, collectors and critics who decide in the end what ends up in galleries and museums. Often the last to have a say is the general public. Can anything be considered as art? Grayson Perry questions the often-heard assertion in his second Reith Lecture, recorded at St. George’s Hall in Liverpool. Can art still shock us or have we seen it all before? Speaking to an audience at The Guildhall in Londonderry, the artist Grayson Perry asks if revolution is a defining idea in art, or has it met its end? 4/4. 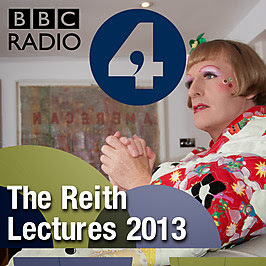 Grayson Perry discusses his life in the art world and assesses the role of the artist in society. Good article about the state of the art world. I appreciate your efforts to put up this topic.